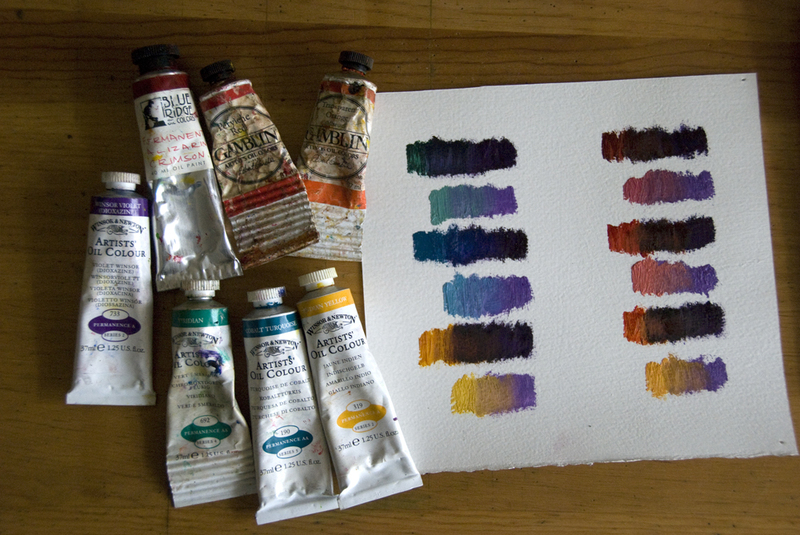 For this post about favorite paint mixtures, I want to spotlight a great supporting member of my paint palette. Dioxazine Purple is just such a paint color. As a leading role I think it is too extreme and staining, but where you desire transparency and nuance, this is just the paint to rely on. I think dio. purple mixtures lend the most effective results when mixed strait into other strait pigments, creating visually interesting and deep colors that support a painting in the dark passages. When painting a scene like this, I like to place a lot of purple and deep-red under layers where all the greens would eventually go, especially in the background trees. I think this helps establish a sense of space in a two dimensional painting. For the cast shadows, I see some of the shadows that could shift blueish-purple, making the sunlit areas seem even more warm and bright. 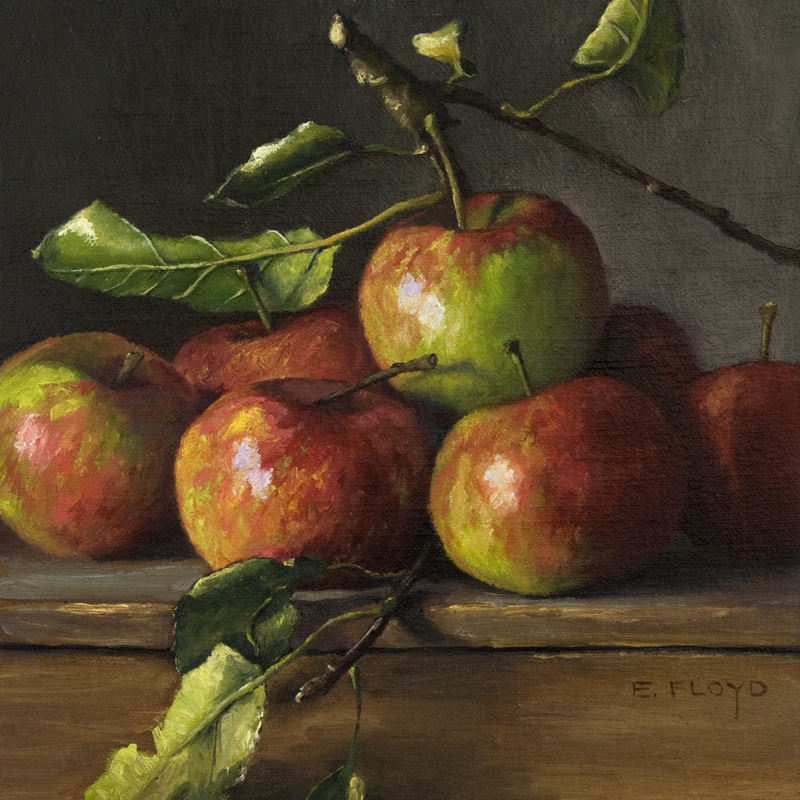 Heirloom Apples - 8" x 8"
This is an excellent example where I relied on a mixture of dio purple and transparent orange to create the nuanced effect of a three dimensional tree branch. 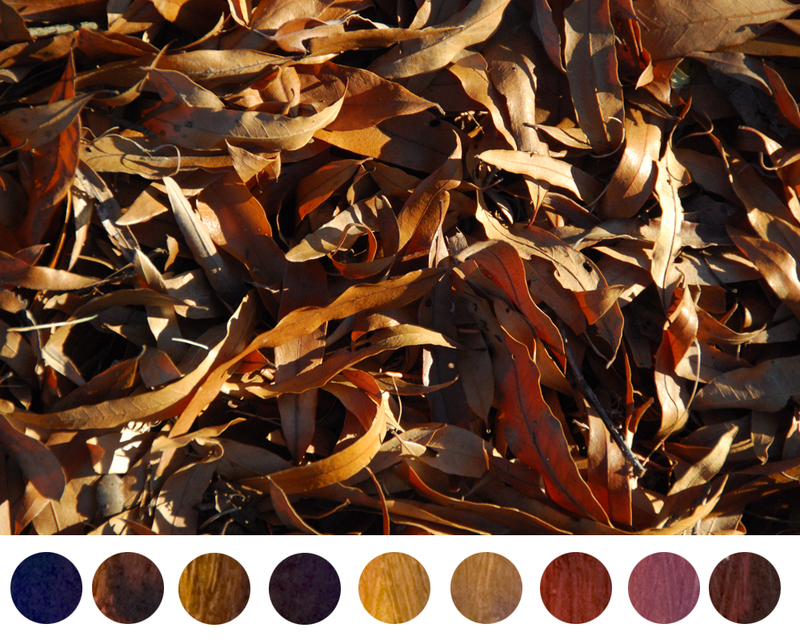 And because both colors are transparent, the mixture visually rolls back into space, maximizing the nature of the pigment in color and value and also in thickness of texture as transparent colors are also not so bulky. 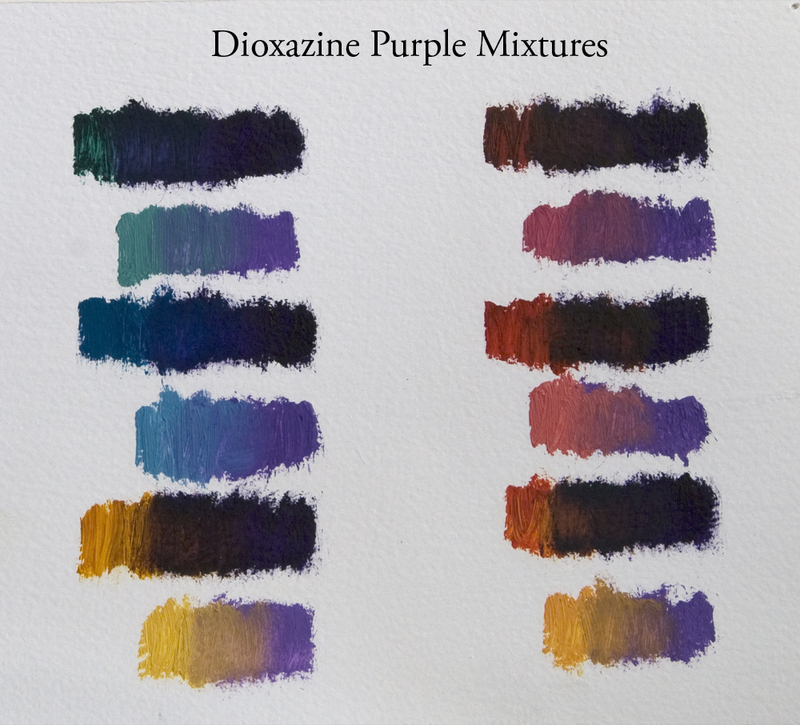 I love dioxazine purple for its deep value and transparent qualities. 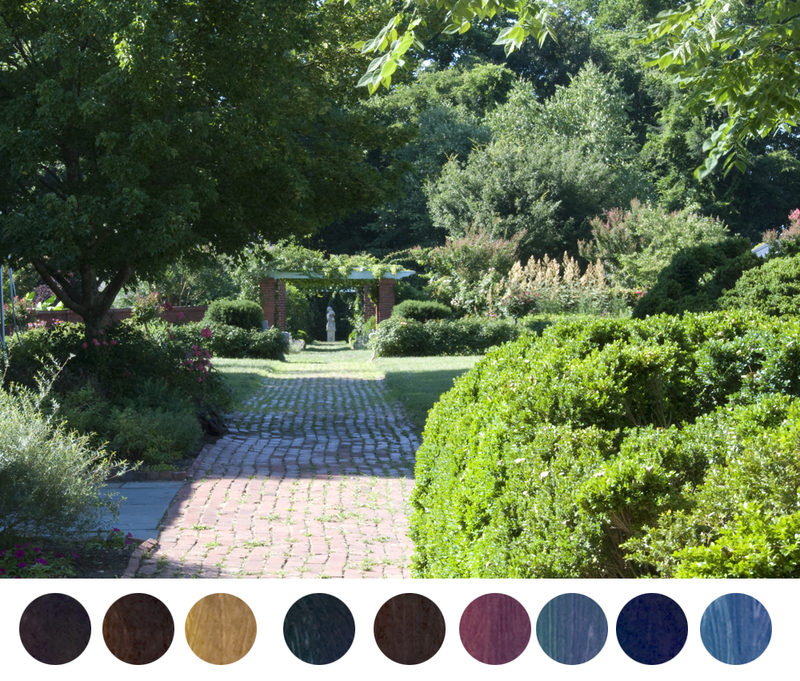 Dio purple is a transparent, cool, and brilliant purple, that is a strong staining pigment that can go a little crazy at times, but mixes well with transparent and opaques. The practice it takes to get used to working with this color is worth it. 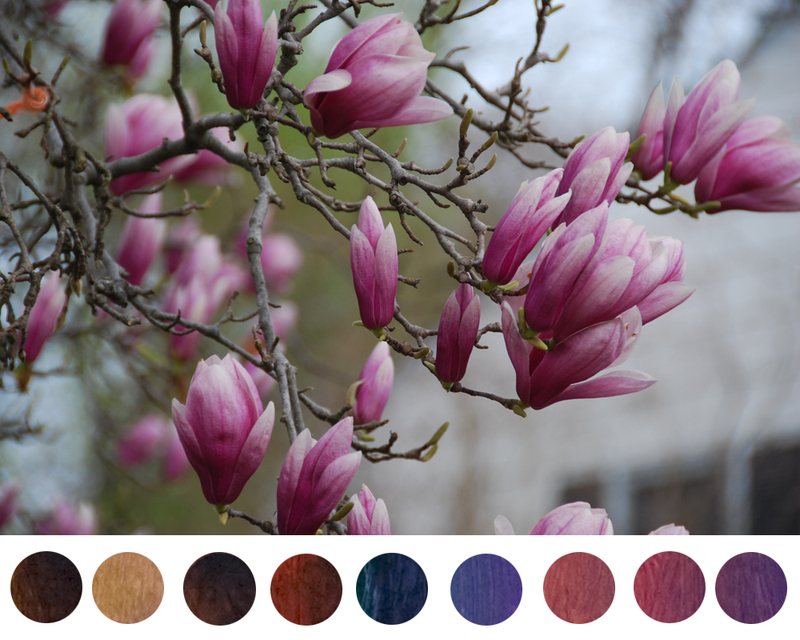 I encourage you to go out and see how many places you can use this color, start with a small amount on your brush because this color goes along way. Play around mixing puddles of paint and then applying it to your compositions, you may find some deep darks that really enliven your work.